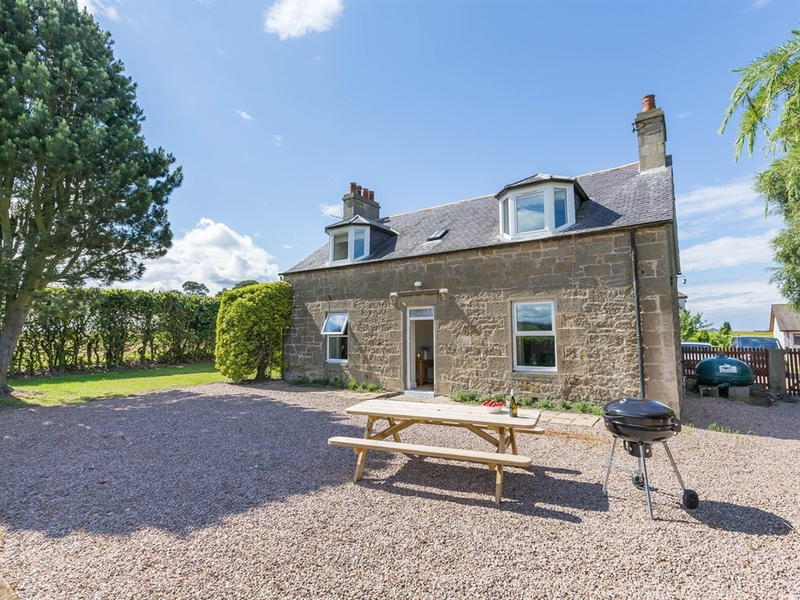 A charming farmhouse in Moray that has been fully renovated in 2017. 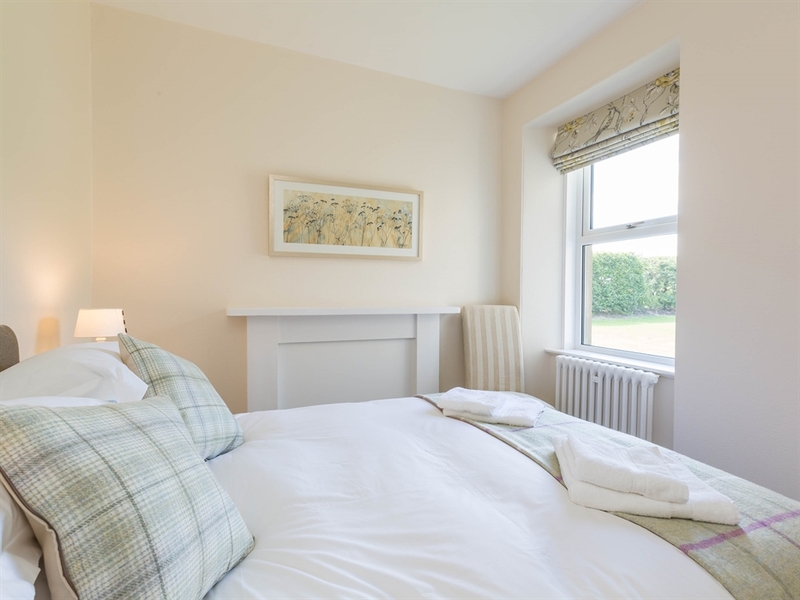 Having undergone a full renovation in 2017, Scotstonhill Farmhouse has been completely modernised and furnished to a high standard throughout. 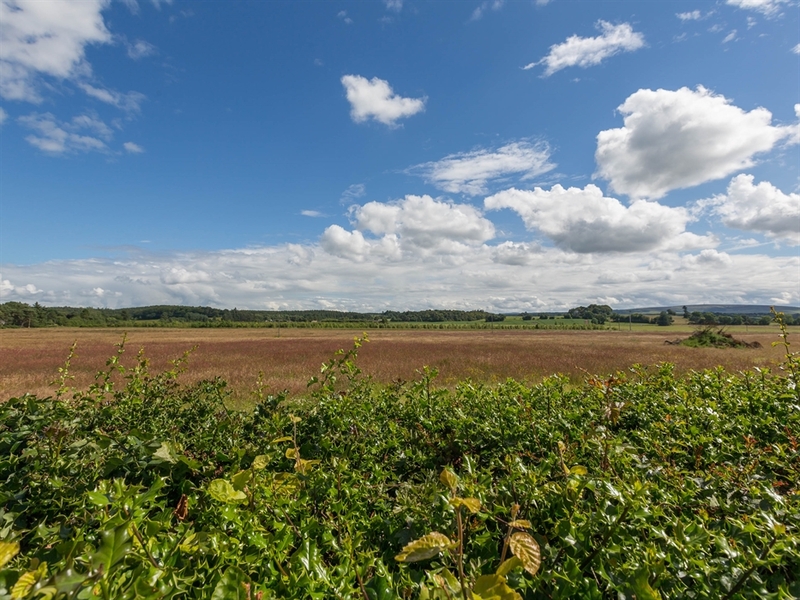 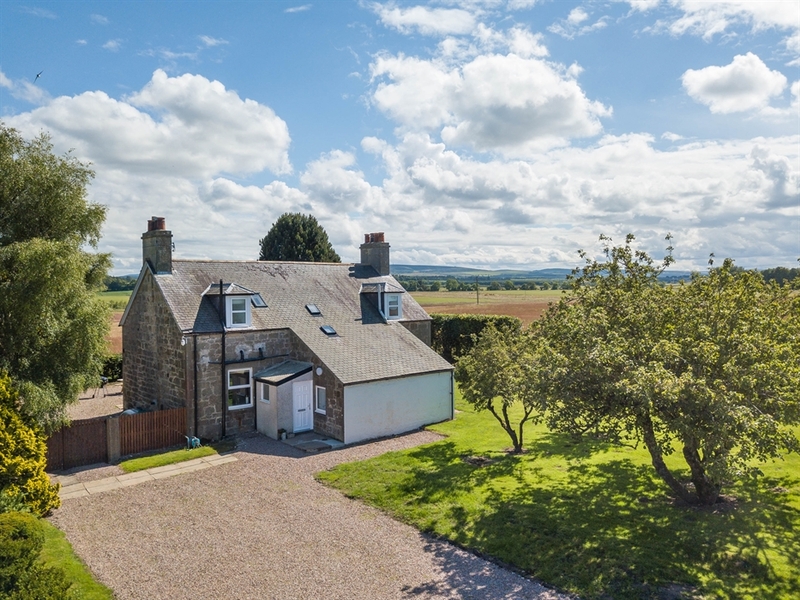 Set within the countryside amongst a small group of houses on the outskirts of Elgin, the farmhouse is an ideal base for those wishing to explore Moray and its beautiful castles, distilleries and beaches. 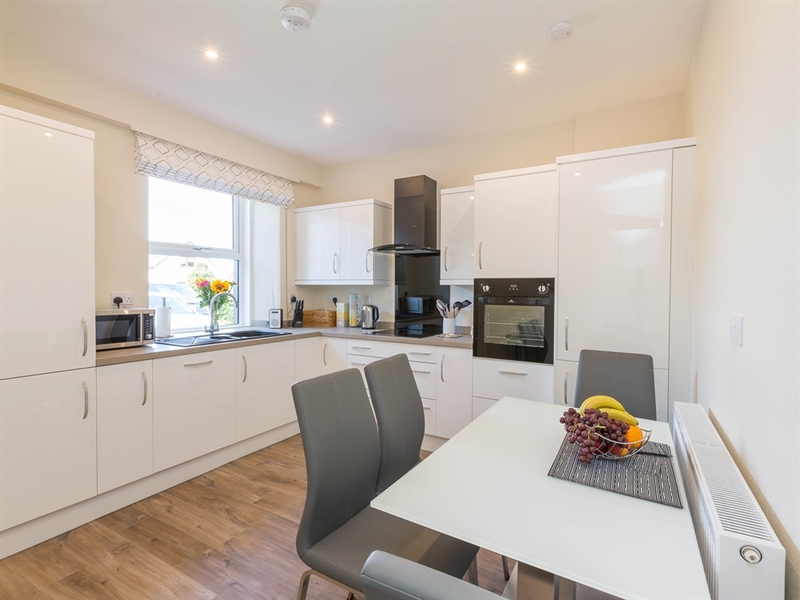 The kitchen has been fitted with sleek, modern units and appliances and contains everything you need during your holiday. 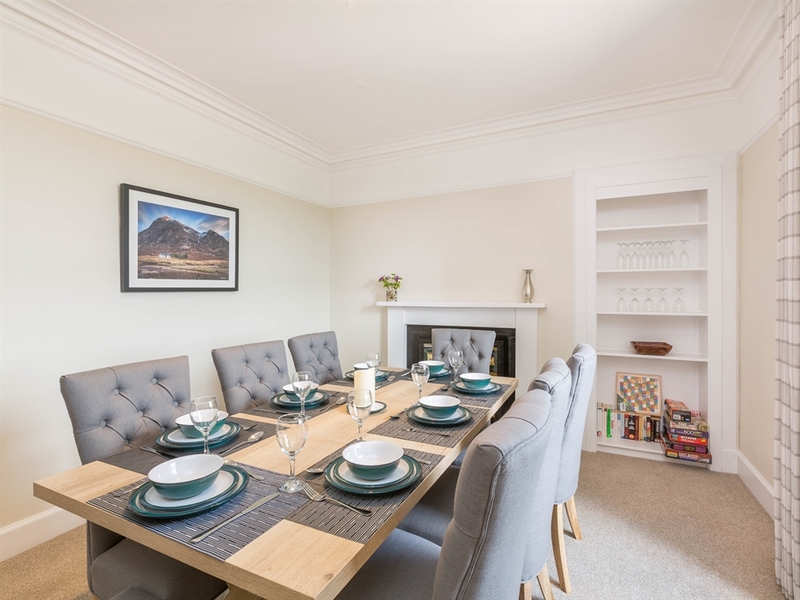 The stylish dining room contains an oak table and plush chairs, and is a fantastic space for enjoying an evening meal. 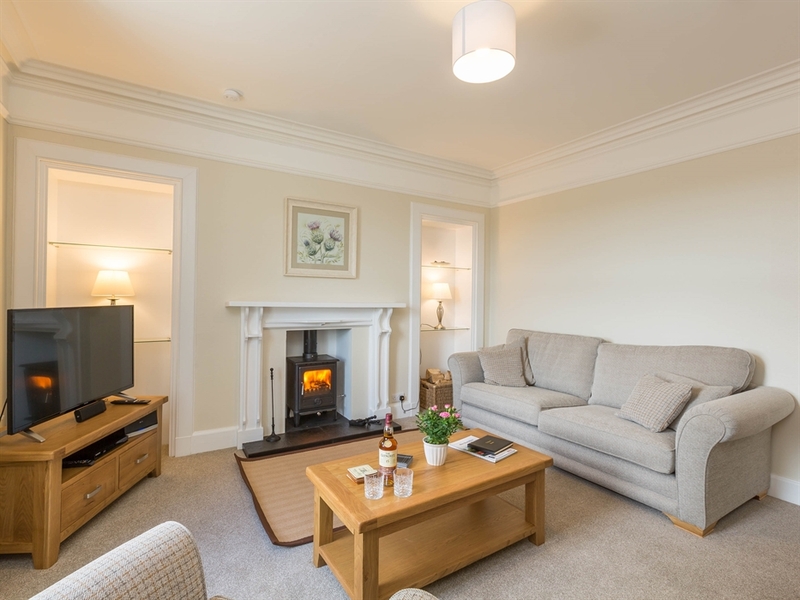 At the end of your busy day, sink into the living room sofas and enjoy winding down beside the cosy woodburning stove. 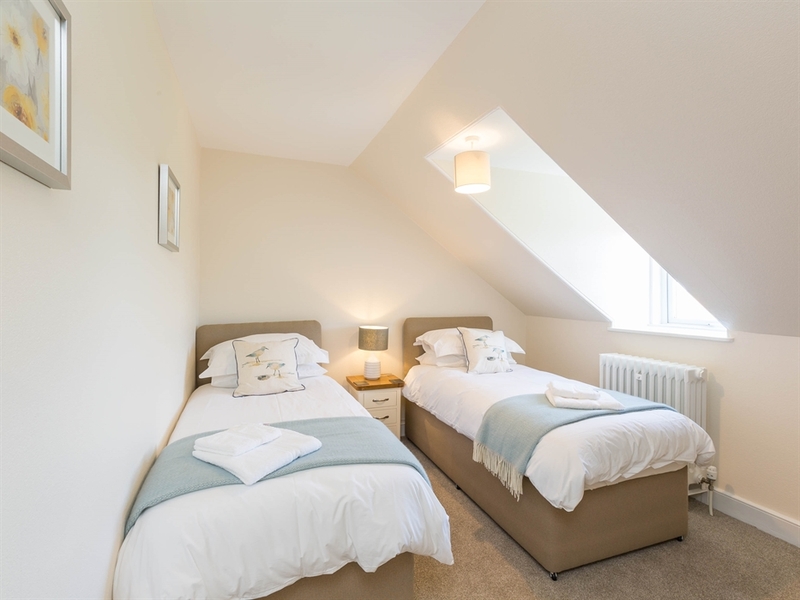 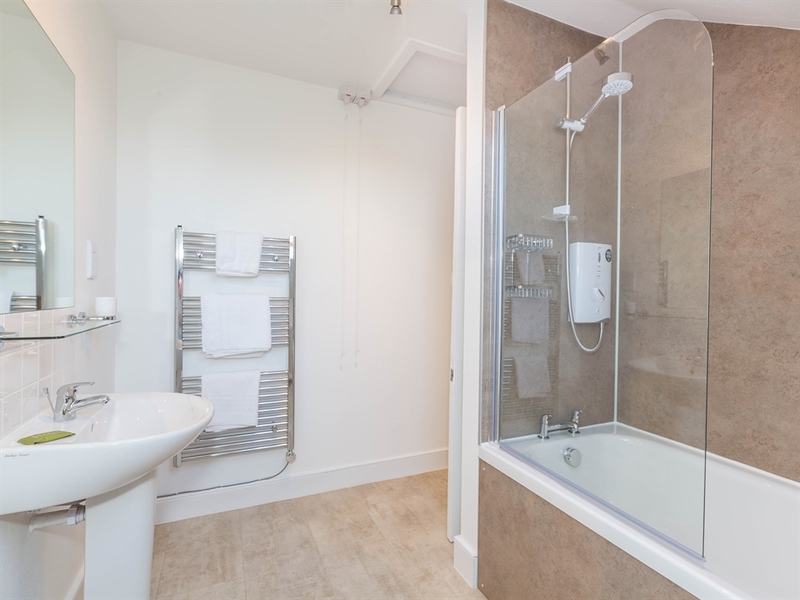 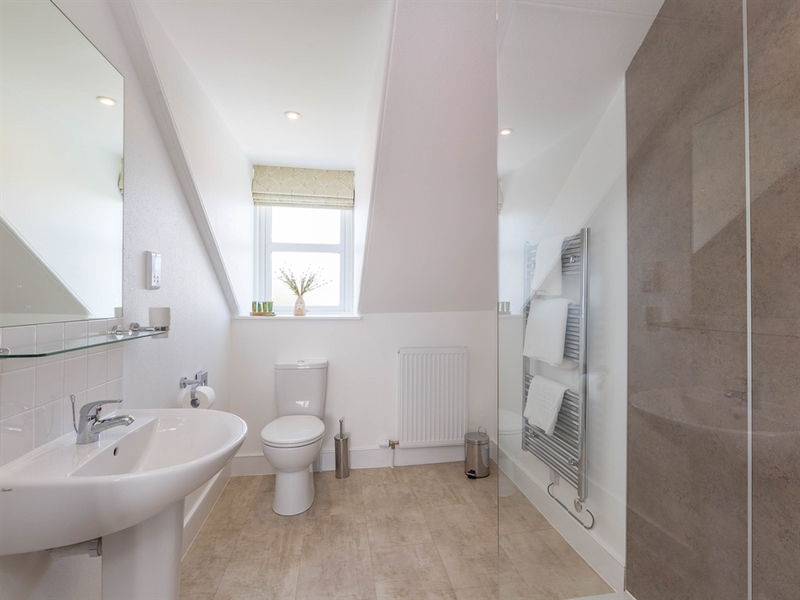 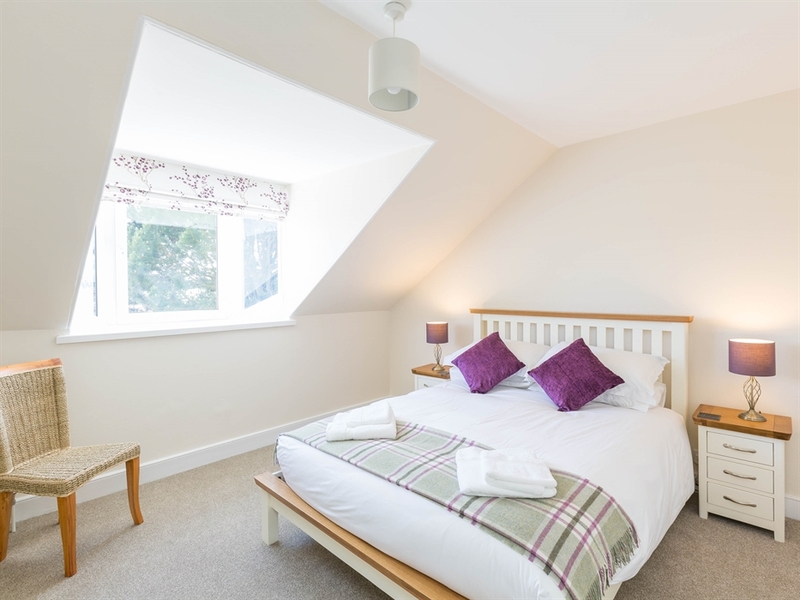 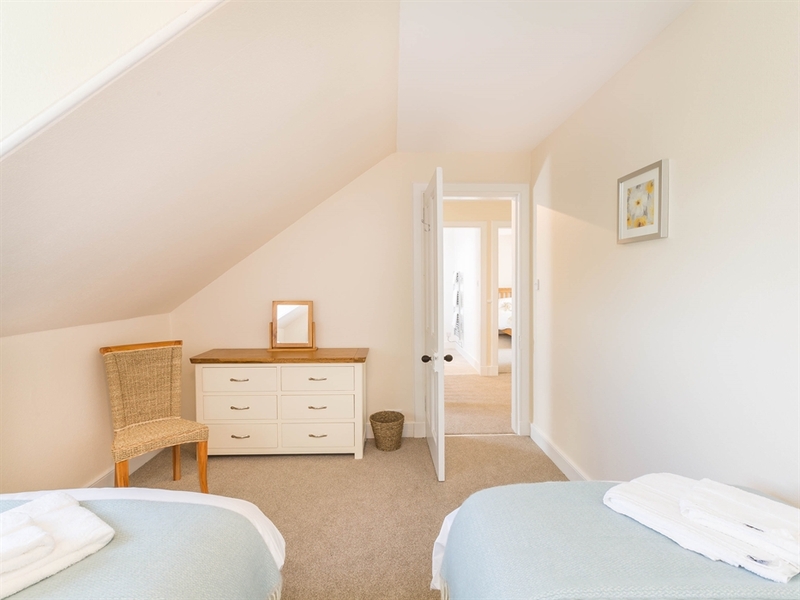 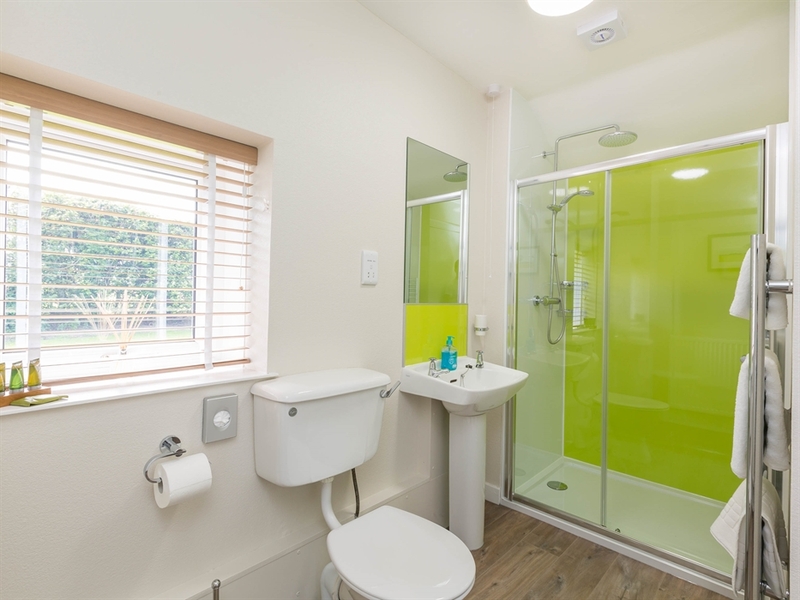 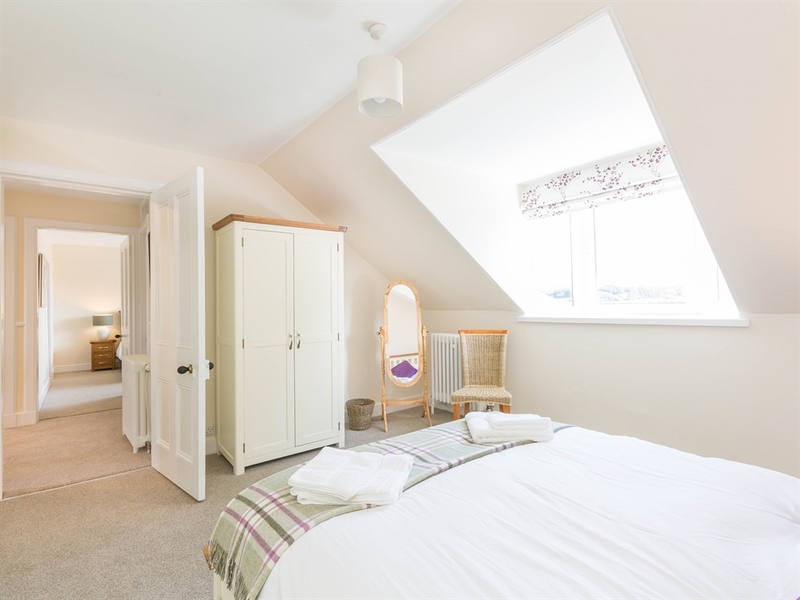 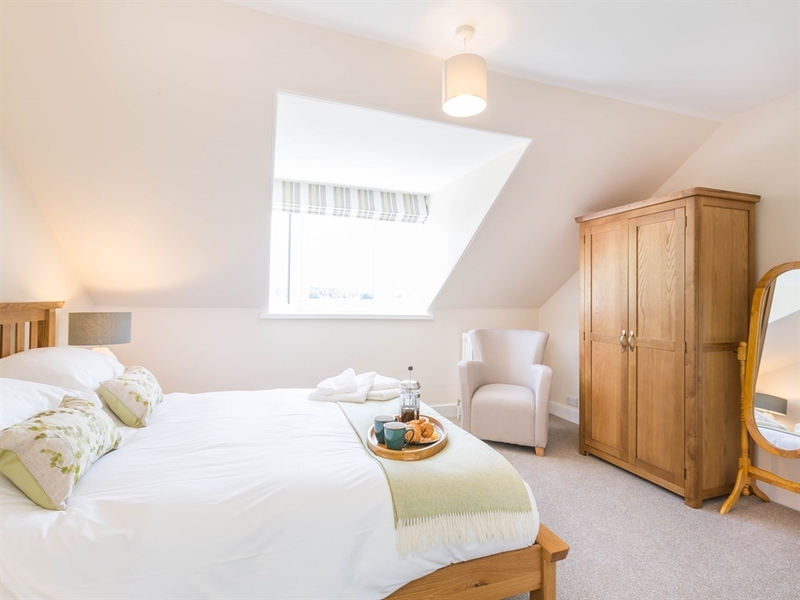 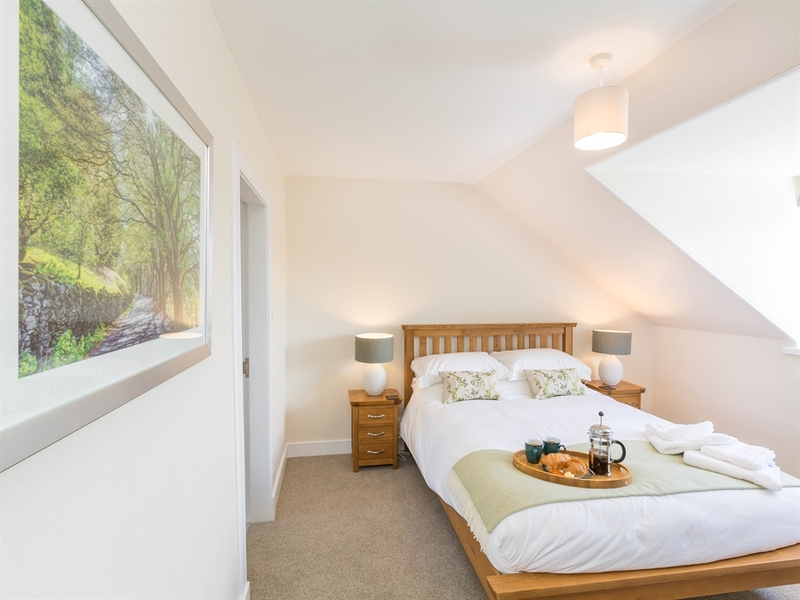 The bedrooms are of a generous size, with the master bedroom having the bonus of an ensuite shower room. 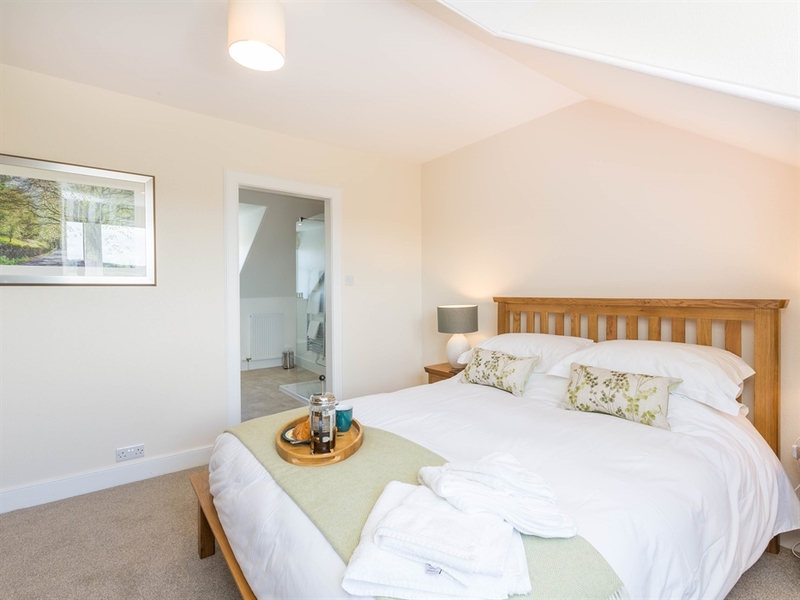 Each bedroom has been tastefully decorated and furnished with its own individual colour theme, which adds to the overall calming and relaxing atmosphere that this farmhouse carries so well. 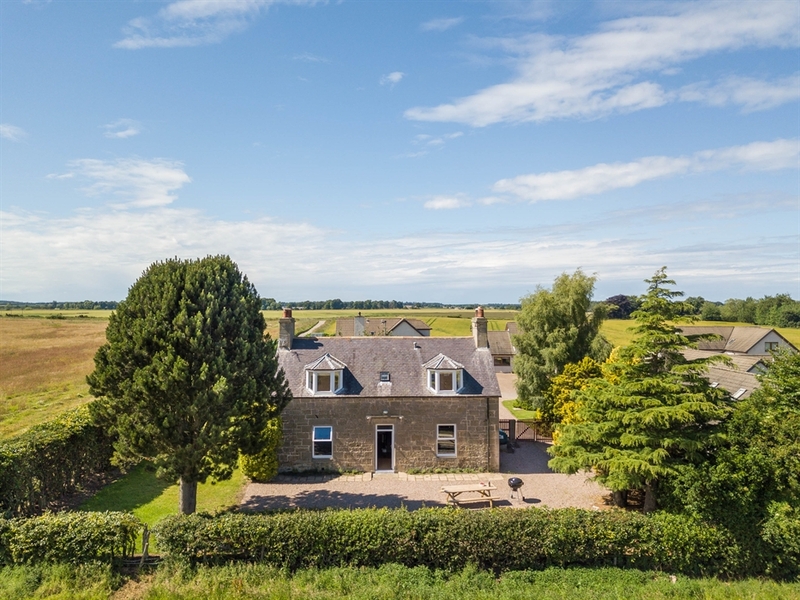 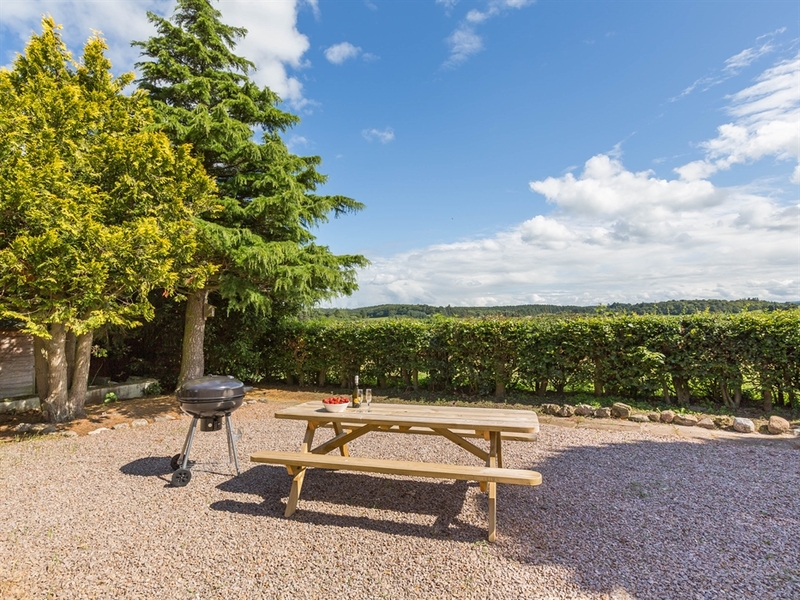 Scotstonhill Farmhouse is ideal for family holidays and for a group of friends who are looking to spend some time sightseeing in Moray and the surrounding area. 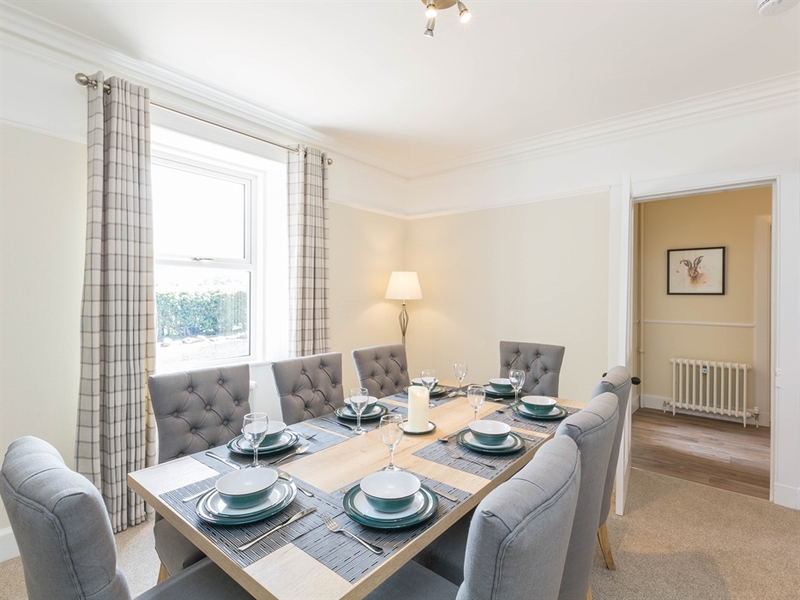 Elgin is situated near the Moray coast, which is well known for its dolphin spotting and sandy beaches. 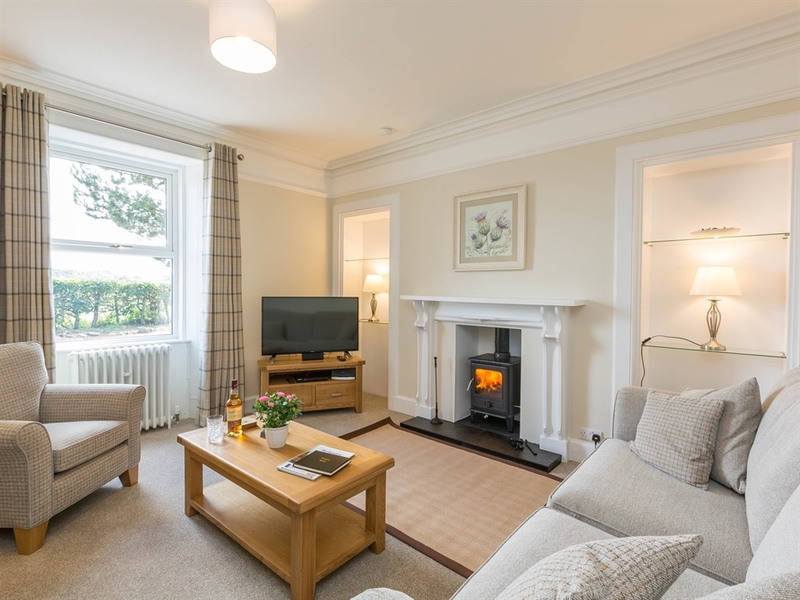 There are numerous seaside towns and villages which are well worth visiting, such as Lossiemouth, Portknockie and Cullen. 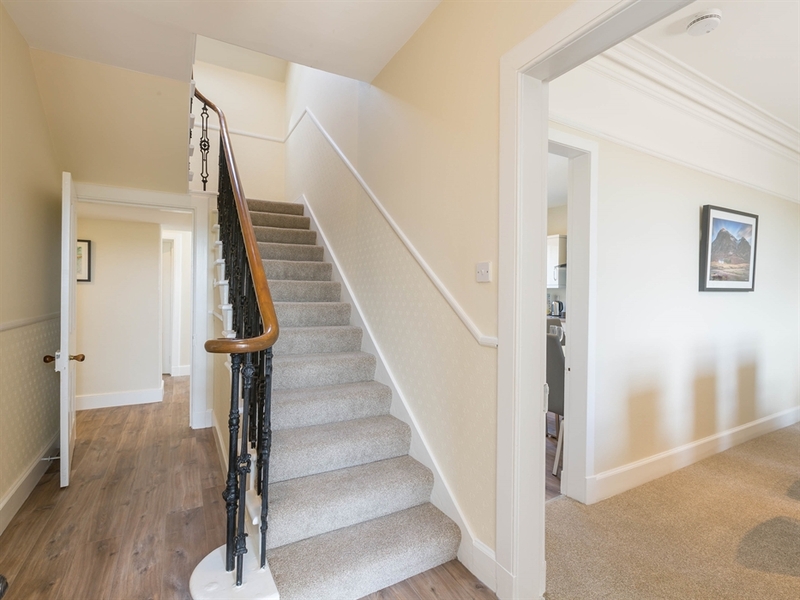 Keen golfers are also well placed for enjoying the numerous courses within a short drive of the property, such as Castle Stuart and Ballindalloch Castle. 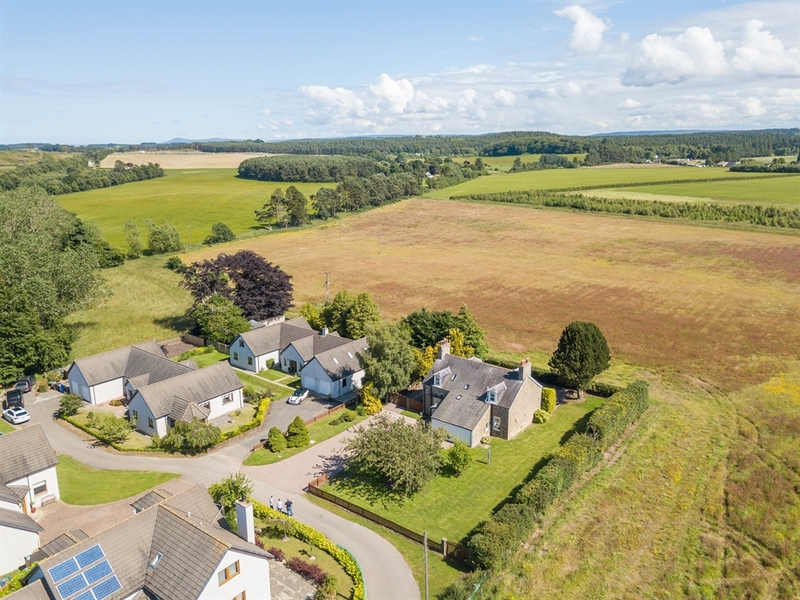 Elgin is also a destination on the Malt Whisky Trail, so make sure you get to some nearby distilleries to sample some of these fine drams for yourself. 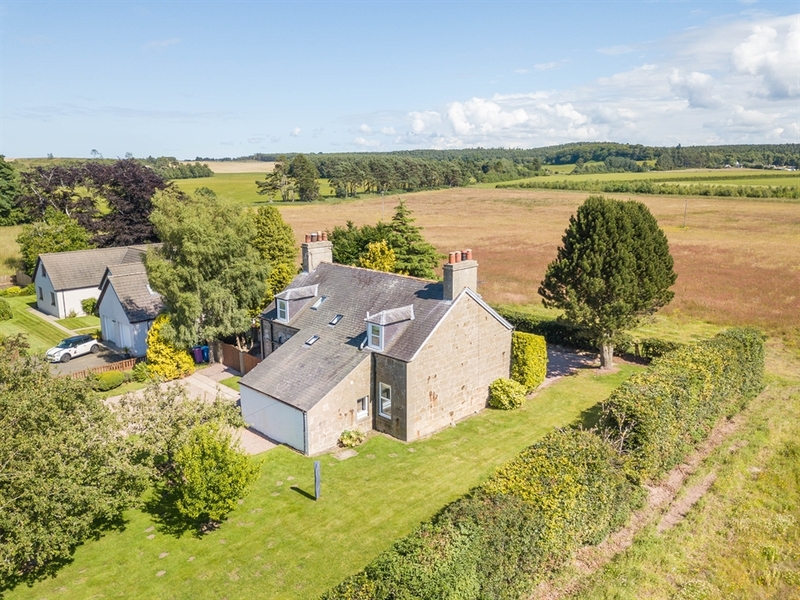 Scotstonhill Farmhouse is less than an hours drive to Inverness too, so if you are looking to see some of the Highland capital during your holiday (or to do some monster hunting at Loch Ness!) 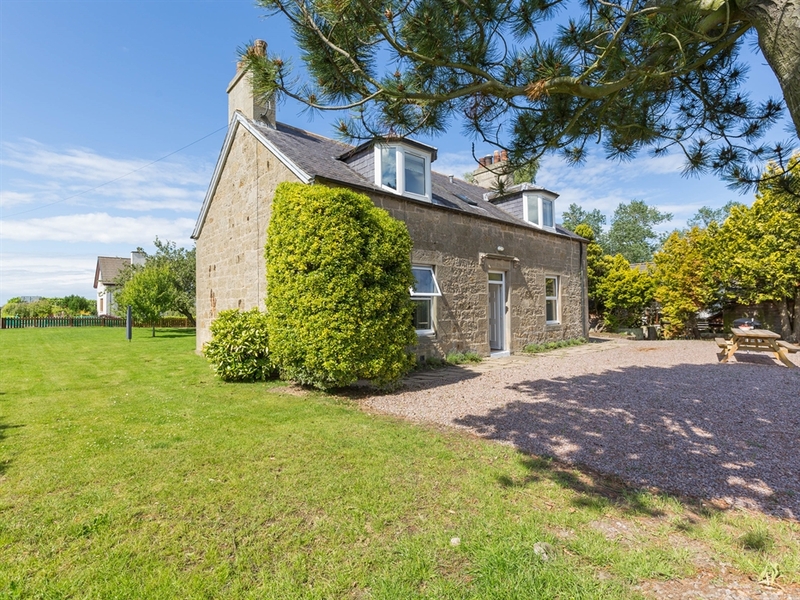 then the city is easily accessible from Elgin for day trips.